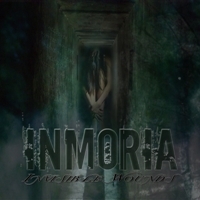 Tad Morose is dead, but long live INMORIA a brand new band that consist of members<?xml:namespace prefix = o ns = "urn:schemas-microsoft-com:office:office" /> of Tad Morose and Morgana Lefay. Sound a style wise a mix of Tad Morose and Morgana Lefay peppered with keyboards that add colour to the music. The guitars are heavy and the band has written one excellent riff after another that other bands would die for. Even the choruses are worth mentioning. They are catchy but not sappy in any way. This is certainly an album that every single metal fan should check out. It’s getting better and better with each listen and there’s not a single weak track to be found. The production is crystal clear yet powerful so order this album right now.